More and more people are changing their e-commerce platform to WooCommerce. Being open-source, powerful and highly flexible, the popularity of WooCommerce is increasing by the day. The best thing about WooCommerce is that it gives the owner the complete control over the website. If you already have an e-commerce website for e-commerce platform like Magento, and you want to migrate to WooCommerce, all you need to find the right plugin that can help you with it. 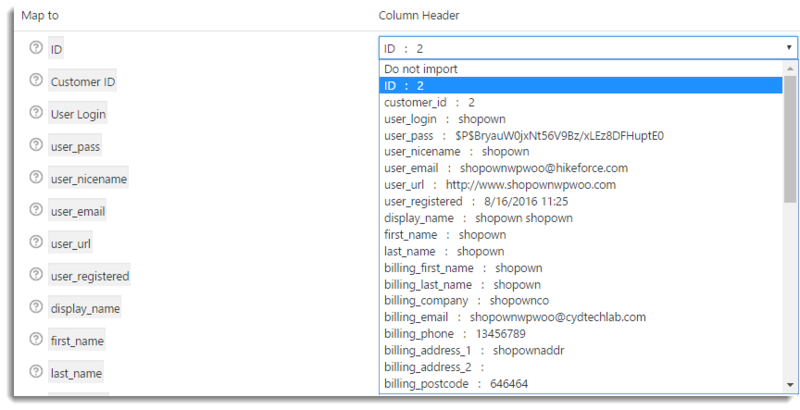 From your existing e-commerce store on Magento, export all the user data into a CSV file. Once you have exported the customers and customer data into a CSV file, the next thing you need to do install the WordPress Users and WooCommerce Customers Import Export Plugin in your WooCommerce store. Now, take the CSV file and upload it to the plugin. Then from the WooCommerce store, go to the dashboard, navigate to WooCommerce > Customer Import Export. This will take you to the plugin page from where you can import a CSV file to the store or export the data from the store to a CSV file. From the plugin page, go to the Import Users in CSV Format section and click on Import Users. This will take you to the Import page. From this page, you can upload the CSV file in which the data of your store resides. If the CSV file is located on the local computer, then you can use Method 1 to upload the CSV. If the CSV file is located on a remote server, the plugin also helps you to upload the CSV from the server. This can be done by Method 2 on the Import page. 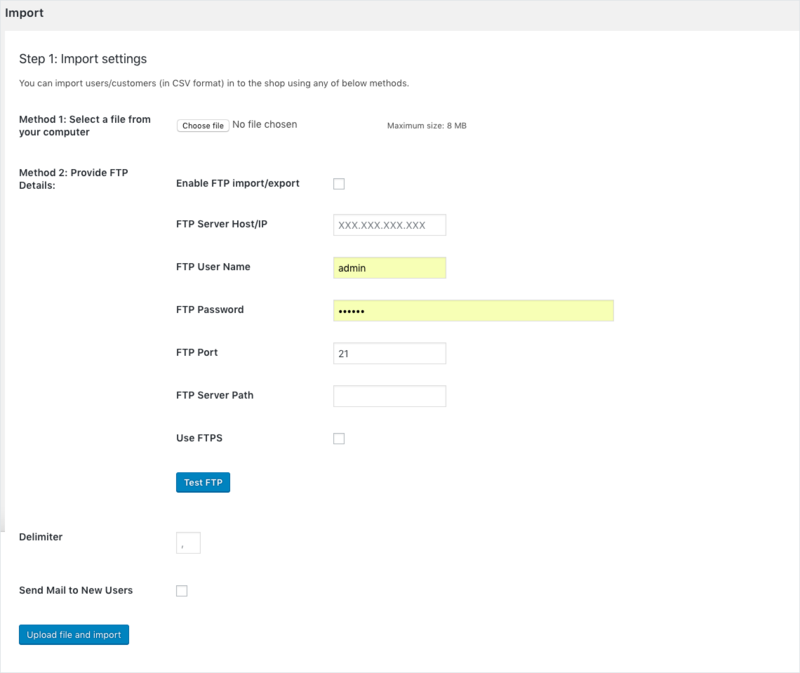 All you need to do is to give the FTP details to connect to the server. Once you have uploaded the CSV file to the plugin, click on Upload file and import. This will take you to the next step in the import process, Mapping. Since the data are being imported from Magento, the customer data fields of Magento will not necessarily correspond to that of WooCommerce. So, we need to tell the plugin the right column in the CSV that corresponds to the right WooCommerce customer data field. In the mapping fields, you can also tell the plugin if you do not want to import any particular field in the CSV file. Also, during mapping, if you do want to changes in bulk in the data that are being imported, you can do so using the evaluation field. After the mapping, click on Submit. This will import all the data in the CSV file into the WooCommerce store. The imported customers will now be listed on the Users page. This way the plugin makes it easy to migrate from your existing e-commerce store to a WooCommerce store. No matter which you e-commerce platform you are migrating from WordPress Users & WooCommerce Customers Import Export Plugin will help you effortlessly import the users and user data into the new WooCommerce store.